"I like to get as close as I can. Lewis is always very focused, but you see what he's feeling, how much of himself he's put into the on-track performance." Stand in the middle of the bustling Formula 1 paddock, close your eyes, and throw a dart. Chances are you'll hit a photographer. 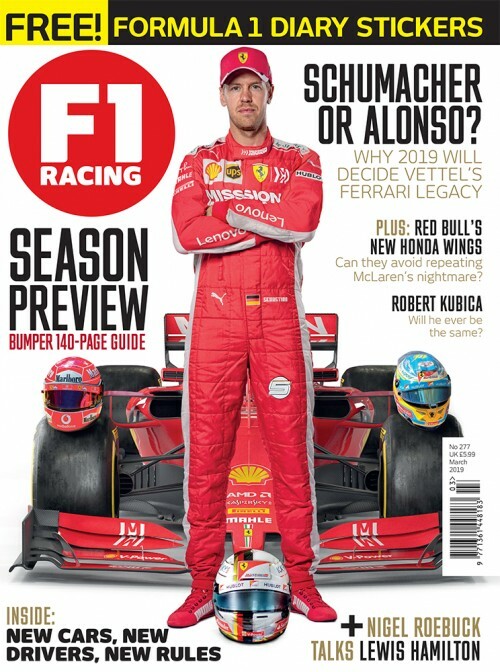 From seasoned pros (F1 Racing's Steven Tee has missed only three GPs since 1984) to how-did-they-get-accredited amateurs, our sport faces no imminent dearth of image artistes. And yet when Nico Rosberg's manager, Georg Nolte, decided he wanted to chronicle Nico's 2016 title bid from a unique insider's perspective, he turned not to one of these long-lens specialists but to a bearded outsider who looked as if he'd rolled in on a skateboard. More than that, Paul Ripke's tools of the trade pretty much amount to just two cameras: a Leica with a 24mm lens and an iPhone. And the man himself has a startling confession. "I can't take pictures of cars," he announces. "I'm very bad at it." Fortunately, as we've already established, the F1 paddock is veritably awash with people whose specialism is photographing cars, whereas Ripke brings to the party a more people-focused reportage style. He can and indeed does do artfully-lit studio-style portraiture, but that's not what Nolte was looking for when he commissioned Ripke to document Nico's championship-winning journey from the inside in 2016. Seeing the results, Mercedes and Lewis Hamilton had a Victor Kiam moment ('so impressed, they bought the company'), bringing Ripke in as a regular fixture at the team, after Nico had sailed into the (artfully desaturated) sunset. "I want to find a different angle to everybody else - I'm not really interested in taking the same pictures as all the other photographers." "My style of photography is trying to put the spectator into the perspective of the person I'm taking pictures of," says Ripke. "So it's authentic, not perfect pictures... more of a kind of snapshot style. You can move the reality around a little bit, but it's still reportage photography: one lens, one camera, and no flash, ever. I started in music, with German bands and hip hoppers, and then I slowly went into sports a little bit." That 'little bit' culminated in his spending four years as the German national football team's official photographer, a stint that included capturing the rapturous aftermath of their 1-0 victory against Argentina in the final of the 2014 World Cup. Ripke's in-the-thick-of-it visual style - the 24mm lens gives a field of vision similar to that of the human eye - puts the viewer right in among the subjects, and those images fed into the well-received picture book One Night In Rio, a visual calling card that led to his Mercedes commission. 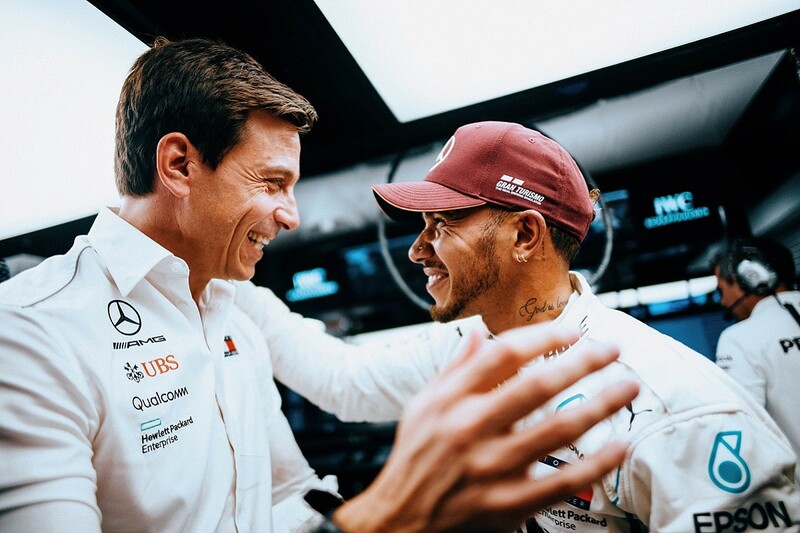 What Nico wanted then - and Mercedes and Lewis are eagerly receiving now - is a bank of still and moving images that can be deployed on social media or fed to mainstream media outlets on request. "The person holding the phone adds to the effect of you being there - it adds an imperfection." "A one-man army" is how Ripke describes himself. "I'm not a traditional photographer," he notes. "I'm the first of the digital generation. I never trained. If you give me a film camera, I'll fail hard. I just take lots of pictures and it's a bit of trial and error, which you can do with digital. Some of them turn out okay..."
In the pre-digital era, such an approach would have been both costly and cumbersome: shooting hundreds of rapid-fire pictures was possible, given a camera with a motor drive, but limited by the availability of film (F1 Racing recalls a shoot at a chilly Barcelona circuit with Jarno Trulli back in the 2000s, during which the subject flounced off after growing tired of waiting for the photographer to change the roll of film). Sourcing raw film and getting it developed added to the variable costs of the enterprise. Now only hard drive capacity and the photographer's time present the limits. Ripke has 820 Gigabytes of images - around 174,000 pictures - in the cloud ("that's just the export," he adds) and sifting the results of a shoot takes discipline. "I'm good at selecting, I guess," he muses. "Over a weekend I'll take up to 15,000 pictures, but I'm very quick at selecting the ones I want to keep. That's what you need to have - more so than an eye. "I filter out the ones that aren't good. If there's a problem - if it's not in focus or the emotion isn't transported - then it's out straight away. I've never gone back to the first big selection and found something in a shot I'd rejected. A picture has to work instantly." 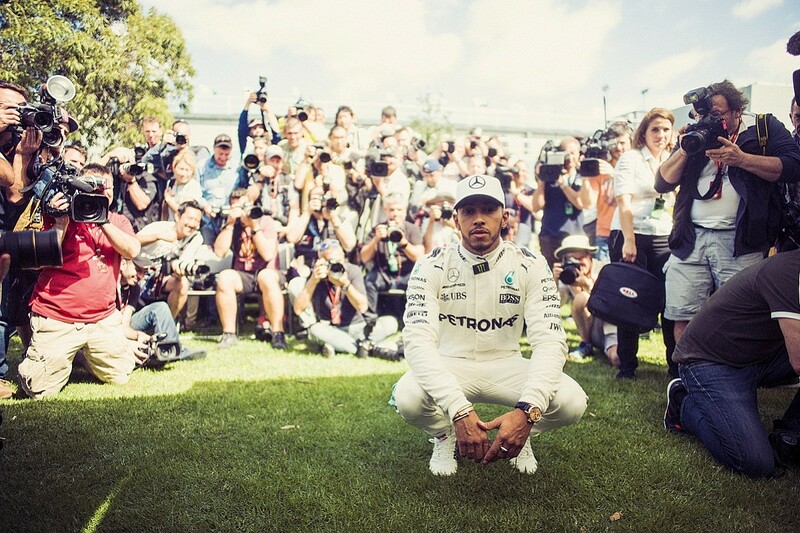 "This was taken in Monaco, which wasn't a high point of the season for Lewis, but it was where he came back strongly afterwards and I wanted to capture that sense of 'Still I rise.' I don't have a problem shooting into sunlight - I use the same lens to give a consistent look and feel." The sheer horsepower of modern laptops - Ripke has a big-screen MacBook Pro with a GPS tracker taped to the lid - lets photographers flip through their selections briskly and apply a plethora of changes. How much visual adjustment you make is a question of personal taste and, for some, ethics. How much artifice does it take to invalidate a shot's authenticity? Ripke says he's not averse to "moving things around a bit" but primarily it's a question of filtration: he's even developed a set of Adobe Lightroom and iPhone filters you can buy to ape his look. "It's a filter set mainly," he says. "Sometimes I adjust the exposure, but I take no more than 40 seconds per image. Perfect pictures are not authentic. Proper press work - long lens, controlled lighting - doesn't work on social media because people want to believe it's a real picture. They don't want a Photoshopped advertising picture. A picture doesn't have to be technically perfect and I like them when they're not." "This is also very back-stagey - it's after Lewis had finished running around with the flag and celebrating his fourth title. He just sat down and the reality of what he'd achieved sank in. He was crying a bit as well - and so was I! I like to get up close to my subjects, but doing that here would have ruined the moment." Having a photographer permanently in attendance must be mildly disconcerting, and Ripke says that forming a personal connection with his subjects is the foundation of creating great pictures. You'll see in a number of the images in this piece that he has made a conscious decision at various points not to reveal his presence, shooting from a distance even when the wide-angle lens will introduce foreground and background clutter into the composition. 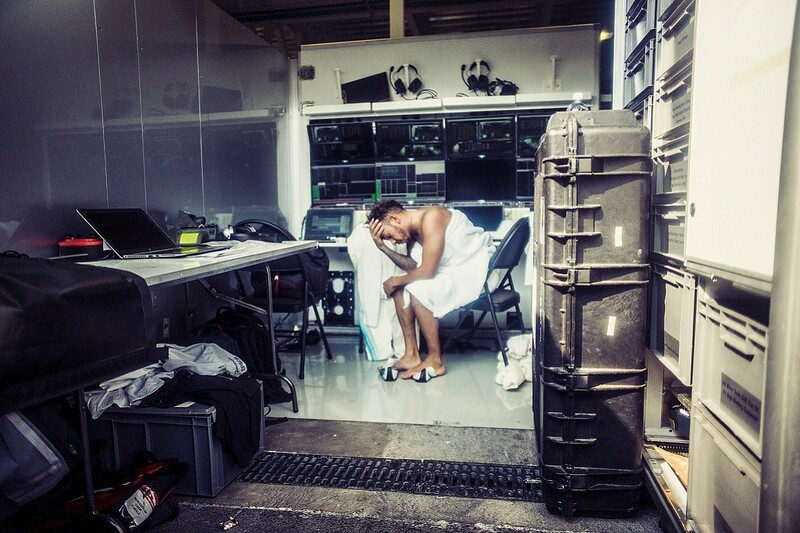 One of his most striking images is of Lewis Hamilton alone and lost in the moment as he digested title number four while wrapped only in a towel. The peripheral objects within the backstage milieu stand in stark contrast to the team's polished outward image, magnifying the emotion. "A big part of it, for sure, is the social part," says Ripke. "I try to get along with the people I'm following - you need a personal connection with them because you're spending a lot of time in their private space. It would never work if you weren't trusted. "It's very good that Lewis is so visual. He knows exactly what he wants, what image he wants to convey. And I like his style a lot - I'm a hip-hop kid as well." But while Ripke remains enthused by the task in hand, he confesses that he isn't so interested in Formula 1. Perhaps, it's this facet of Ripke's outlook that fuels his distinctive visual take on the F1 circus: a world inhabited by people and emotions as well as by machines. "A little distance helps in photography," he says. "I like F1 but I'm not, let's say, its biggest fan. But I like the people, and I'm here for the human side of the sport." "Here he is with Toto after qualifying. Again, nothing is staged... 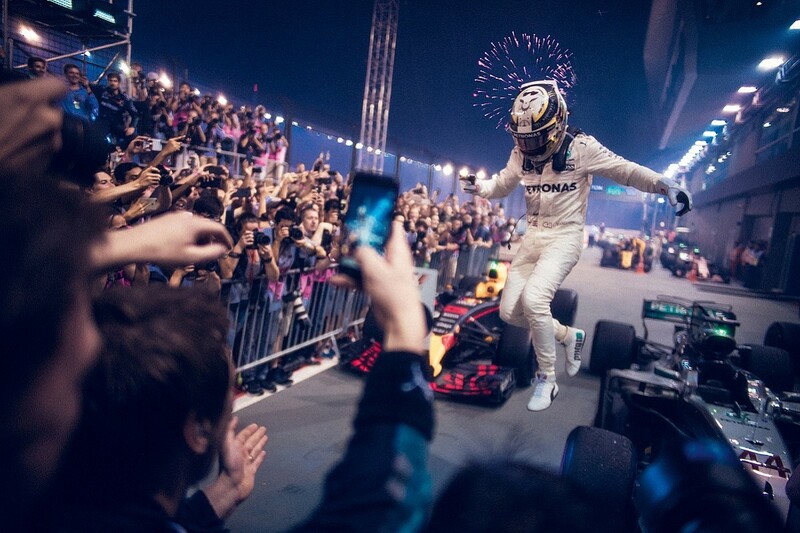 I'm just following Lewis and trying to capture the moment exactly as it happened."